Are you a tech savvy bride-to-be, or unsavvy in the ways of the tech world? The more you know what's available in the techie world, you can truly be organized and prepared for your wedding, at your fingertips. From wedding planning apps, to custom wedding websites, even creating your very own wedding hashtag, there's much to accomplished! We've received some great tech savvy wedding planning tips to share for you that we hope you can take advantage of! Read on and enjoy what's out there to better help you in your wedding planning needs! If you have a knack for technology or if you love social media, use your modern skills and bring your wedding into the digital age. Here are four simple and user-friendly tips. Planning your wedding on paper can get messy. Papers can pile up, binders grow and grow, and it’s not easy to find what you need quickly. Streamline your wedding planning by going digital. Create a “digital home” for your wedding planning files with a cloud storage service like DropBox, Google Drive or Evernote. Make wedding planning a collaborative effort by granting your fiancé and any other wedding party members access to your files. Inspiration can strike anywhere. Download the Pinterest mobile app to keep track of all of the little details that inspire you. Pin other brides' ideas or snap your own straight from your Smartphone. Wedding planning is nearly impossible without setting some sort of budget. Make sure you stick to your plan by using a budget-planning app like Wedding Budget. The app is free, and it lets users keep track of spending in detail from floral and decor to bridal party attire. It even alerts users when payments are due. 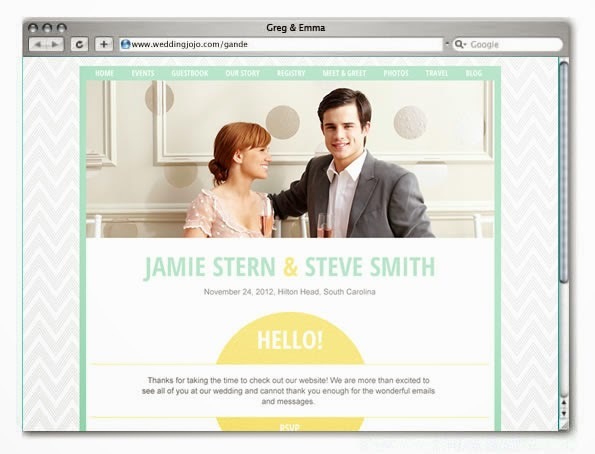 The wedding website is a valuable resource for wedding guests. With all of the information in one place, you can even opt to add less on your invitations, leaving room to express your personal style. A Practical Wedding suggests to inform, not instruct, by giving them the information that they need to make a decision on their own. For example, you could include a list of popular hotels in town versus only including your favorite. This also applies to wedding attire. Don’t tell people what type of shoes to wear; instead, give them detailed information about the venue and the grounds' conditions. A Practical Wedding also recommends including your couple's bio in a “how we met” story. Additional information includes directions, event times, registry info, and a reference to a cash bar, if applicable. Most website building tools require little coding experience. A top-rated service like GoDaddy offers hundreds of design templates and an easy-to-use editor that makes customizing your wedding website a breeze. Save some paper and the cost of stamps! Instead of sending old fashioned invites via mail, create your very own modern digital invites. Paperless Post offers a selection of contemporary announcements, save-the-date reminders, wedding invitations, and wedding party requests. Start by selecting a template and then customize the invite to your liking. Paperless Post designs can also be printed and mailed for the guests who may not be as tech-savvy. Brides and grooms on-trend are creating their own unique hashtags for guests to use on their big day. Decide on a wedding hashtag, but before you make it official, check to see if it’s been used before. Couples with unique last names shouldn’t have any trouble thinking of an appropriate hashtag, however, couples with popular last names might have to get a little creative. Do your best to keep it simple, short and easy to remember. 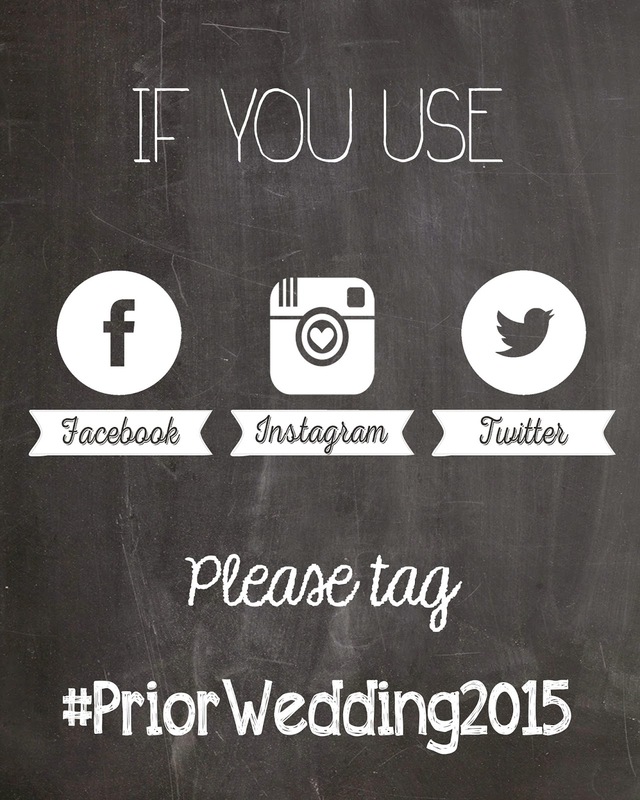 Display your wedding hashtag on a sign at your reception for guests. Have you done any of the above mentioned yet? I love the #hashtag mention. It's really a great way to get all whom take pics at your wedding, and whether they share on Instagram, Facebook or Twitter, if you plug that into the search, you can see many candid moments taken from all guests! We hope you found these tips helpful. Happy planning!